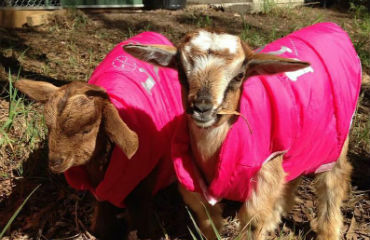 Smartie Pants Early Learning and Development offers government subsidised childcare and kindergarten in a unique learning environment where children can learn responsibility as they care for our land, farm animals and each other in a warm and nurturing environment. 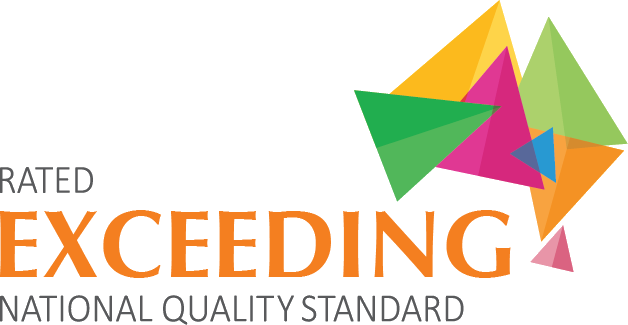 Enriched with Specialist Learning Programs. With us, your child will enjoy plenty of activities and programs to enhance their learning journey. A Beautiful and Supportive Early Learning Environment. Large indoor play spaces, enormous playgrounds full of trees, plants and animals to nurture. We offer a unique environment to allow your children to play and explore. Smartie Pants is a privately owned and operated centre. We offer a play-based learning environment immersed in intentional teaching practices to help children be everything they can be. We are proud to offer lower child to educator ratios in a beautiful one acre natural setting that promotes exploration, adventure and imaginative play experiences. We look forward to welcoming your family to our family. We incorporate a range of wonderful learning programs, delivered by experienced and talented specialists, to enrich your child's early learning. Supported by decades of research, we believe that early education is the most critical stage in your child's learning journey, providing an essential foundation in supporting a lifelong love of learning and academic success. This is why we provide a program that exceeds educational standards, with lower child to teacher ratios, more qualified educators and larger spaces for children to explore and grow. We have been lucky to have Smartie Pants in our lives for the last 8 years. My son and daughter have flourished under the care of all the beautiful carers and teachers and the kinder program is brilliant. My son who is turning 10 still has fond memories of his time at SP, and my daughter who is off to school next year tells me how much she will miss Kinder and all her fantastic and caring teachers. All the staff are amazing, facilities and outdoor areas are awesome and having lots of gardens & animals to help feed just tops it off! Thanks Smartie Pants for always being a happy place and a joy to be part of! We will miss you all! We have found Smartie Pants to be such a warm and welcoming environment. The spaces are bright and spacious, and there are endless activities for the children. The communication to families has exceeded my expectations, and I always feel up to date with my child's progress, as well as what is happening in the centre. Most importantly, the staff have been fantastic, and have made our transition so smooth. Thank you Smartie Pants! I have had both my daughters at Smartie Pants, starting in 2014, and I could not be happier with the service provided! Smartie Pants goes above and beyond in every way - the personalised care, the educational programs, the outdoor spaces and activities, the incursions, the food and even the exposure to various animals. Even in terms of administrative support, the staff are incredibly well organised and able to assist with any queries. The service provided caters to all aspects of child development in a very caring and personalised way. The staff and educators know my children so well and they have always been very happy at the centre. I can not recommend Smartie Pants enough. We started at Smartie Pants when my daughter was 10 months and as a first time mum going back to work I was incredibly nervous. The Smartie Pants team put me at ease from the word go and helped us both through the transition. The communication from the girls in our room is excellent and my daughter is now happy to go to them each morning because they have taken the time to get to know us. She loves the outdoors and her food, both of which are strengths of the center and I know she plays happily on her Smartie Pants days because I get to see it through the online updates. Moving into the area, I struggled with the idea of changing my children’s childcare arrangements. The staff at Smartie Pants went out of their way to listen to my concerns and make the transition as easy as possible. I needn’t have worried about the move - both of my kids loved Smartie Pants from the minute they first visited; they soon formed strong connections with their carers and the other kids in the rooms. My son blossomed during his time in the Kinder room – he came out of his shell and was more than ready for primary school. I have been particularly impressed with the level of staff engagement – the educators obviously enjoy spending time with the children and make a real effort to keep the kids engaged. Ditto for communicating with parents – be it via formal or informal channels. The quality of the meals is also worth mentioning – the meals are consistently healthy and varied in their offerings. My partner and I are very thankful that we found Smartie Pants – and that our kids have had the chance to attend such a great centre. Thank you!! We consider ourselves so lucky that our children attend Smartie Pants. The childcare staff are caring, highly skilled and approachable and the management team are professional and friendly. You know that your children are in the safest of hands and that they will have a ball in the most beautiful natural surroundings with supervised access to animals, sustainable practices and play areas designed to stimulate and create imaginative play. Smartie Pants are the hidden gem of Diamond Creek. Smartie pants is the third child care centre I have used and I could not be happier. The staff are incredibly welcoming and take great interest in my daughter and my entire family. They're very accommodating, professional and nurturing in their approach. Your beautiful staff make for great carers of my babies. Thank you. From day 1 Zoe has loved going to "school" as she calls it. She has never shed a tear at drop off (such is the case of a younger sibling) and whilst she's a little lady of few words, she certainly has started to talk at home about her time in pip-squeaks room. She loves to show us the stamp on her hand every week and giggles when we take her shoes off and half the sandpit has come home in her shoes. You know she's had a great day when she comes home with paint under her finger nails, disheveled hair from dress ups and the scent of sunscreen from her outdoor play. As a working parent of two children (one school age) it's important that I know she's safe, happy and learning all those social skills that are crucial to her development and transition to prep. I feel nothing is ever an issue with the team at Smartie pants and the staff understand the trust and importance of your child's care that you place in their hands every day. As a parent all you really want is someone to care for them as you would if you were able to be there. Wouldn't hesitate to recommend Smartie Pants to any parent looking for a childcare centre. Both my children attend Smartie Pants and absolutely love it. The staff are wonderful and always feel like I am leaving my children with a family member everytime I drop off. I have noticed such huge development leaps since they both have attended with their speaking, socialising, toilet training and other development milestones. There is always something happening at Smartie Pants and feel although my children attend 2 days a week they never miss out on anything. The Jump for Joy program has been fantastic as well as other programs they run, very educational and most of all fun for the kids. All the educators are warm and welcoming. They always keep me up to date with what is happening and provide information if I need it. I always feel like they always go the extra step. We are very lucky to be part of the Smartie Pants family. All the staff at Smartie Pants are very welcoming and friendly. Their care for the children is amazing. My daughter loves child care and we are looking forward to our little boy going there next year! Our daughter was overly attached to us, and generally distressed around new faces. She appeared to have minimal independence and social skills. She was attending another childcare centre prior to Smartie Pants, and the tears at drop off/pick up were really difficult to bear. However, within a couple of months of moving to Smarty Pants, we were overjoyed to discover her newfound confidence and social skills. It is a delight to see our daughter thrive, and it is obvious as parents to see what a positive difference the change of venue and carers has made. We can't recommend Smartie Pants enough. We have been a part of the Smartie Pants family for almost seven years. We've loved that the team have been an extension of our family values. We are sad that our youngest is now moving on to school, but we are excited that he is more than ready to transition to this next part of his life. His readiness to move is due to the care and dedication of the educators. What a great team at Smartie Pants - we feel very lucky to have had such a great childcare experience here. It is the hardest thing to leave your children anywhere but I feel the team at Smartie Pants genuinely love taking care of children and it really does feel like an extended family is taking care of the kids. They all know all the kids names and greet them even if they are not in the same room as them. I know our kids love coming here and that makes it easier. I also feel the Smartie Pants team focus a lot on the children's development and definitely believe this has had a significant impact on the growth and development of our kids. I would highly recommend the centre. Both my children have been at Smartie Pants since they were 9 months old. Leaving babies with others is always daunting but the educators always put me at ease by how welcoming and inviting they are. I am always kept in the loop as to what my children have eaten, when they have slept and other relevant information about their day. What really makes my day is when an educator is excited to tell me something cute or funny that one of my kids has done that day or show me a picture they have taken. It just shows how much they care and go above and beyond with each and every child. They know my children inside out and know what to program based on their interests. The LIFT app also makes reading the programs and observations accessible and easy. Having health alerts sent my phone if ever there has been a child ill also shows how Smartie Pants go that extra step to ensuring my children are protected. The meals are amazing and my daughter always tells me she has had dinner for lunch referring to the cooked meal. The grounds are like nothing I have ever seen in a childcare setting. Huge natural yards where my children are encouraged to explore and get dirty. Interacting with all of the animals is also something my children would net get access to if not for Smartie Pants. Whether it is feeding the goats, collecting eggs from the chickens or giving the duck fresh water it is teaching my children responsibility and that they are important. The communication from everyone involved is impressive and I always feel in the loop from both the management team with events and notices to the room teams. We found the staff very informative. They were interested in Jack and had a genuine approach and care. The orientation was not staged, it was very relaxed and just showed what an average day in the centre is like. No one was trying to sell anything, it was refreshing. From the first orientation to now with Jack having been at the centre for almost two months, we could not be happier with everyone's level of GENUINE care. They make me feel relaxed and never silly for ringing or checking in on Jack. It makes my day when I go and pick up Jack and he has the biggest smile on his face and is happily playing. Thank you to everyone at Smarty Pants, the level of care exceeded our expectations and we are very grateful for the care and support you give us and our son Jack. I just wanted to send you a quick email to say thank you for the care Henry has received from everyone in the Pip Squeaks room over the past year. We have watched him become confident and happy little man, making new friends and building on his friendships (Aiden...!!) with thanks to you all gently guiding him. I have found all the girls to always be happy, gentle, friendly and kind to me on some difficult drop off's and of course to Henry on his days at Pip Squeaks. A particular thank you to Taryn and Jenaya for your kind and warm hugs to my lil man when he needed it (sorry if i have misspelt your name!) Jess and Jackie for letting me waffle on during pick ups..! The genuine care of my lil man from everyone in the Pip Squeaks room is something you should all be proud of. Her skills in speech, counting, alphabet, movement, drawing, interacting with others, and everything else has just blossomed this year and we have you to thank. We just want to wish you all a very safe Christmas and happy new year with your friends and families. All the best to you Jackie on becoming a Mumma!! You will be so brilliant at it...such a lucky baby to have you. I'll look forward to meeting the little cherub one day!! I have always felt very comfortable with you and appreciate your hard work you put into the program and ensuring my children and all others settle in happily into your room. I also know that it takes a team of wonderful women to support you and further develop the children in your care, so to every pip squeaks worker from 3 years ago to now. Nothing makes a mother more happy than a happy child and let me tell you Ari is very happy coming to kinder. The rooms at Smartie Pants are bright, colourful and clean. The systems and processes are well organised to support the care of the children, services for the parents and the staff in the centre. The outdoor and indoor play areas are large with a variety of activities for the children to participate in. Smartie pants regularly engages with the community to offer additional activities for the children, some of these are fire trucks, wild animal incursions and visits from the local library. In addition to this there are lots of dress up days to keep the children amused! And my favourite, they have a great chef so you have the peace of mind that the children are being prepared nutritious meals using safe food handling techniques. All three of our kids have attended or are currently attending SmartiePants since 2009 and love it! The semi bush setting is really lovely and the outdoor areas are quite idyllic compared to most. The carers in all the rooms are fantastic and we have never felt bad leaving the kids there as we know they are in safe hands! Our little one Darcy is currently in Pipsqueaks and I guess the fact that he runs off playing as soon as he is brought into the room and never seems sad to see us go speaks volumes for how happy he is there! Our Miss 3 has settled into Smartie Pants like a dream. The staff have been very kind and made transition very easy. The policy for children will allergies are great and the staff are fantastic with making sure that Miss 3's needs are met. We highly recommend Smartie Pants. The team at Smartie Pants have offered my toddler and myself amazing support during Auriana's first few months of Childcare. Due to Auriana only attending 1 day a week, we knew it would take some time to settle in. The Pip Squeaks team showed their strength, patience and experience to ease my worries for a parent going back to work. There were many tears in the beginning, but, with plenty of cuddles and much opportunity for a huge variety of activities, Auriana now looks forward to catching up with her Smartie Pants friends. I'd like to thank Smartie Pants for the excellent service offered. I've noticed that my daughter developed several skills and she is more independent. Thanks to the mini minors team for all their help in encouraging my daughter to eat. I really appreciate the daily feedback when I pick up my kid. The Smartie Pants team is doing a great job and the communication is excellent. Recently we had the horrible experience of our much loved childcare centre closing down. We were devastated, and immediately started looking at all childcare centres in the area. We were interviewed and given a tour of Smartie Pants by Emma without delay. My first impression was of the large spacious environment with happy children. Emma knew all the children by name which I thought was impressive. Since we began at the centre, each time I pick up my son there is something new that impresses me. Most recently is the LIFT program. I love hopping online, checking to see what my little man has been up to. I feel like I am no longer missing his childhood and am more involved with his care and development. My child has attended SP for over four years now and absolutely loves it! 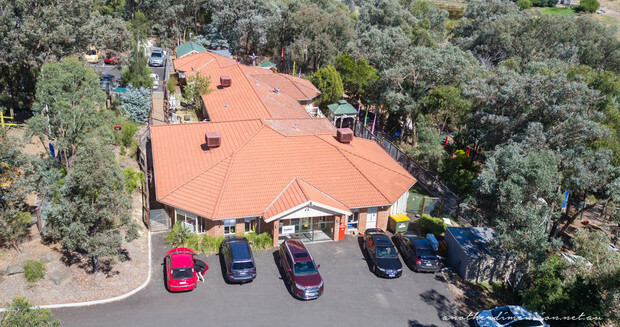 Looking for a childcare centre can be a very daunting process that can take a lot of time and energy. When I had to return to work, I looked around at so many childcare facilities and was not happy but when I walked into smartie Pants I felt like I was 'Home' and have never looked back. The staff are so friendly and show a keen interest in my child's learning and development along with displaying lots of love and care. I always feel welcome and appreciate the staffs effort to have a chat and keep me informed on what my child has been up too. The centre takes feedback on board and deals with conflict and issues promptly and efficiently. My child has benefited significantly from the programs they offer including out of hours activities and has made some fantastic friends. I will be very sad to say good bye to Smartie Pants and its team as my child ventures off to school next year. The environment will be hard to beat! Thanks Smartie Pants for a truly wonderful center. You were the 1st child care center we visited when we made the decision to even consider child care for our then 2½ year old son. My husband & I unanimously agreed we need not look further, we had found the right place - warm, welcoming and friendly, expert care and a great program - and we were't wrong. Our son is now 6 years old and just started school this year and is excelling. We'd particularly like to thank Brad and the Kinder program. Brad was very approachable (as all staff and owners are) when we were seeking some advice on whether our son was ready for school (just about to turn 5) in 2011. With his expert assesment we decided to continue 1 more year of Kinder and it was the correct assesment and decision. 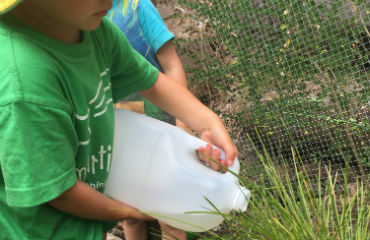 The facilities they have there are just brilliant for active kids and inquisitive minds. The teachers are definitely interested in your child's development and certainly kept us in the loop with day to day behaviour, successes and achievenments. So even though we weren't there during the day, we still felt a part. Our second son has been a member of each Smartie Pants room 2 days a week - starting in the Hub a Bubs room when he was 5 months old. Now 4, he is participating in the actual Kinder program and most importantly - loving it. So after 5 years having our two boys with this amazing team, I would not hesitate to recommend Smartie Pants to any family wanting a caring and committed child care center to send their little ones to. I wouldn't look further, definitely enrol your child today and feel secure with your decision. We highly recommend Smartie Pants. My eldest daughter - now 4yrs old is now in Little Genius Room and has been coming to Smartie Pants since she was 3 months old. My second daughter now age 2 is in Pip Squeaks and has attended since 6 months of age. The staff are very caring, patient and understanding of your child's needs. 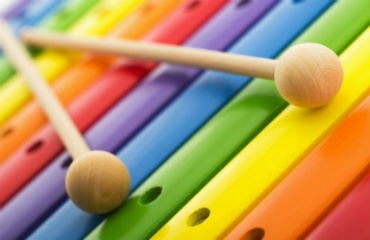 The educational programs are well structured for each age level. The LIFT program is great - private online program with photos and stories of your child's development - a great tool as well to communicate directly to their carers. My girls love attending Smartie Pants and we could not be happier. I would like to express my sincere thanks and gratitude for the excellent service our family receives from all of the staff at Smartie Pants. Jacob has been attending Smartie Pants since February 2009 and he thoroughly enjoys it. We were offered a very intensive orientation by 'Emma' and she was and still is very professional, supportive and informative. The staff who work with Jacob on a daily basis demonstrate a sincere commitment to their role and it is quite evident from Jacob's reaction when we walk in the room that he really loves spending the time with them. I would also like to give a big thank you to all of the staff in 'Mini Minors' who are so forthcoming with progress reports on Jacob and how he is going. 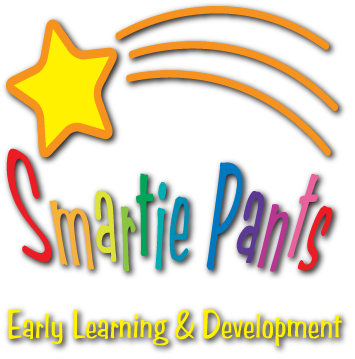 The staff at Smartie Pants are very helpful and have on many occasions been able to answer my questions on child development or strategies that I can use at home to assist Jacob to relate to his peers which is very helpful. Our family looks forward to a long association with Smartie Pants and we regularly promote your service to our family and friends. My daughter has attended Smartie Pants since enrolling in the Hug a Bugs team. She has now progressed over the years to the Kinder room. The staff are friendly, approachable and interested in teaching your child. My daughter attends full time and really enjoys it here and has made many friends. The programs which are put together focus on the development of your child and with the introduction of the LIFT program you can view these online along with all the observations they have recorded. I am very happy with the centre and this is shown through my child's enthusiasm. She can't stop talking about all the great things she does there every day. Smartie pants also puts together an album of photos and art work she has created through the year which I think is fanstatic. I feel very happy to leave my child here knowing that she is having fun while learning and developing her skills ready for school. We have never known a centre like Smartie Pants that has such a good understanding of each individual child and their family, without the use of Communication Books - hooray! The relationships between the carers and our kids is genuine and unique, exceeding anything we'd ever imagined from a Child Care Centre. Each and every staff member is polite, friendly and willing to help, and most importatny willing to listen. My son attends Smartie Pants two days a week and loves it, mainly because he has formed special bonds with so many of the carers, who genuinely love and respect children, and do all they can to make sure children are happy and thriving. We could not be happier with Smartie Pants. I have two children there, eldest starting at 3 months and has now been in their care for 2 years. The staff obviously love their job - so happy, always greeting the kids with open arms and very accommodating to your needs. I love that you can email your room during the day for an update on your child and if there are any problems (like child not settling) they ring you straight away which is very reassurring. Secure grounds in a bushland environment which is great - not beside some busy road with traffic polution! I highly recommend them. We really think SP is a wonderful place for our child because 1. It is a family run centre and not a franchise/chain, 2. Most importantly, all the staff are excellent, kind and compassionate, which are key to connecting with children. Many of the staff are still there from the time our little one started at the centre in January 2009 (gosh, it's been that long!!) - which means that our little one has got consistent carers - consistency of care givers is a key to little kids well being. It also means that staff are happy working at SP! Well done, all round! Keep it up. We are so happy we have our daughter at SP, she has adjusted to childcare brilliantly and it has everything to do with the carers and how the centre operates. Thank you SP for making it as easy as possible to leave our daughter somewhere she feels safe, is developmentally monitored and supported, and most of all seems to have a blast! Jacob has been attending Smartie Pants since early February 2009 and he thoroughly enjoys it. We were offered a very intensive orientation by 'Emma' and she was and still is very professional, supportive and informative. The staff who work with Jacob on a daily basis demonstrate a sincere commitment to their role and it is quite evident from Jacob's reaction when we walk in the room that he really loves spending the time with them. I would also like to give a big thank you to 'Janine', 'TJ' and 'Sam' who are so forthcoming with progress reports on Jacob and how he is settling in. I would also like to thank Roxanne who is fantastic and very communicative. I would like to take this opportunity to Thank Smartie Pants staff for the high standard of care they provide. All staff are very friendly and welcoming towards children and parents. The variety of educational and fun activities at this centre is great - but the best is the nurturing the children receive from the staff. They are greeted with smiles every day. I credit them for teaching my child social skills. It's absolutely recommended for all parents. My daughter is having fun and she has learned so much. I really appreciate the sense of security I feel when I leave my Alicia with you. As you can tell, we have been extremely happy and feel lucky to have our kids at such a great Centre - we are very grateful. I just began leaving my first child, who is 5½ months old, at Smartie Pants last week. I had heard some horror stories from other parents regarding childcare, and when researching care whilst pregnant, heard from a friend about your services. I now know that I made the right choice in picking Smartie Pants to care for Maya. The transition of returning to work and beginning childcare for a small baby is quite overwhelming, but your team has made it easier for me. Leaving Maya at Smartie Pants is easier than I thought it would be, because I know she is being cared for and she seems quite happy. In Maya's second week she has adapted well. The Hug-a-Bubs team, especially Emma, has made me feel so comfortable leaving my little baby. Especially yesterday when I handed my daughter to Emma & she gave her a big smile, she was so happy to see her, after being away for 4 days. It made me feel even more comfortable. I would just like to say a big thanks to Smartie Pants and what a wonderful job the Hug-a-Bubs team are doing. I am so glad that I picked Smartie Pants for her childcare. Even though it is only week 2 for Maya , I already feel so comfortable with leaving my daughter with Emma and her team. Your staff & service are excellent. I am a very happy parent. I wanted to say thank you for the fantastic way that you look after our children and our family. Ethan (5) has recently started school, and we have been told by his teacher that he has settled in really well, is very well adjusted and already has a good grounding in the skills he needs for school such as his reading and numbers. I'm sure that this is thanks to the wonderful kinder programme that you have at Smartie Pants, and the way you concentrate on the social and educational skills that children need. Leith (1 ½) has just moved from Hug a Bubs to Pip Squeaks, and once again, you have made it so easy for us and for him. When he started in Hug a Bubs, I couldn't believe how supportive and nurturing the team was. I always felt that he was in the best possible hands while I was at work. Now that he's moved up to Pip Squeaks, I see the same care and attention. The whole team has made sure that not only is Leith ready for, and happy with this move, but that we are happy with the transition as well. Leith has settled in perfectly, and now he's got even more girls to give cuddles to! We've used a number of child care centres, and you guys are the best. I recommend you to everyone I know! I just wanted to send a quick note to thank you and your team on the lengthy but smooth orientation of Declan. I appreciate the time given to both myself and Declan in getting us settled into your centre, and a special thanks to you for comforting me on those times when I wasn’t too sure about leaving him. I want to thank the staff on making me feel comfortable about leaving Declan in their care and the time taken to show me around, explain policies and procedures and allowing me to stay for long periods to ensure that Declan was happy during his stay. Since being in your centre Declan’s social skills have improved and now he is too keen to stay, I have to chase him to get a good bye kiss. We love the facilities, programs and staff, you’re doing a great job and I have full confidence and comfort in leaving Declan in your care. I am writing to let you know how pleased we are that our son has now settled in well at Smartie Pants. It was hard in the beginning as our son would cry on the way to childcare, and I wondered whether it was worth all of the drama. However, he has now stopped crying, and although he is usually sad when we leave him, by the time we pick him up he is so excited about all the things he's done during the day. I think this is testament to the fact that the staff are very friendly and reassuring, and also due to the wide variety of activities, toys and play equipment - I doubt any of the children would get bored during the day. Our son especially enjoys the giant sand pit as well as Hey Dee Ho, who he refers to as "the dancing lady." Your staff are always friendly and helpful, and have always been willing to answer questions even when they're already run off their feet. You were also a big help at the beginning (and continue to be), always very patient despite my constant myriad of questions!